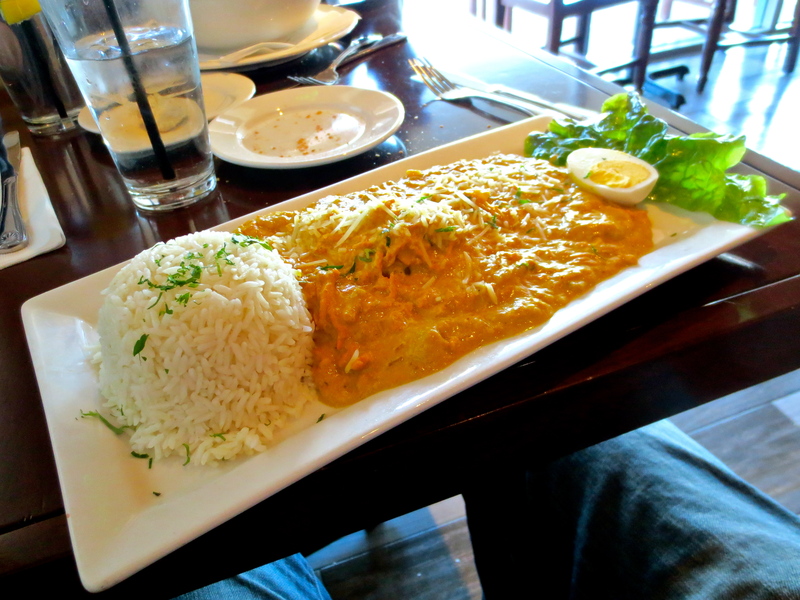 As for my order, I went with the Aji de Gallina. This dish consisted of shredded chicken and potatoes in a creamy aji amarillo sauce, with a side of rice. The menu failed to mention the half hard-boiled egg and the piece of lettuce, which I kind of think balanced each other out. Aside from those things, this dish looked straight out of an Indian restaurant, but the flavors were nothing of the sort. The chicken and aji amarillo sauce were really quite awesome. There was definitely a kick to the sauce, but it wasn’t too strong and certainly wasn’t enough to distract from the sauce’s overall flavor. I was definitely happy with my experience at El Rocoto. It’s a little pricey to make a habit out of for lunch, but I plan on making some happy returns to get my fix of delicious Peruvian.